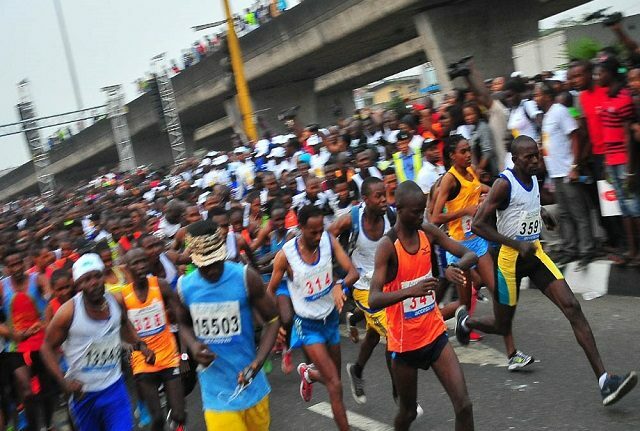 The 2019 Access Bank Lagos City Marathon that saw the continued dominance of the East Africans will continue to strive to attain world class status so says the Group Managing Director of Access Bank Nigeria Plc, Herbert Wigwe. Wigwe, promised bigger support towards encouraging the public in the adoption of a lifestyle that would promote good healthy living. “Access Bank will ensure this marathon gets better every year, as we target world class outings till we achieve the silver and gold label rating from IAAF. “The brave spirit of the men and women that ran represents the core value of Access Bank’s journey to becoming Africa’s gateway to the world. “Our focus is to advance Nigeria’s blossoming drive for health and fitness. We have made it our responsibility to encourage the general public and create value for stakeholders,” Wigwe stated. Ethiopia’s Sintayehu Legese took the top prize of $50, 000 in 2:17:24, while the defending champion, Kenya’s Joshua Kiprotich (2:18:14) and Kenya’s William Yegon (2:20:04) came second ($40,000) and third ($30,000) respectively in the men’s category. In the women’s cadre, the Ethiopians, however, made a clean sweep of the event with Dinke Meserate clinching the top prize of $50,000 in 2:47:38 time, while Alennesh Herpha placed second in 2:48:01, as Kebena Chala finished third in 2:49:04. Both athletes got rewarded with $40,000 and $30,000 respectively for their efforts. Gideon Goyet was the first Nigerian to cross the finishing line in 2 hours, 30 minutes to win N3 million, beating last year’s champion, Iliya Pam to second place, with prize money of N2million. One of the high points of the marathon was that the IAAF Bronze Label marathon saw Pam of Nigeria achieving a historic feat by breaking into the overall top female finishers. Lagos State Governor Akinwunmi Ambode srared that it was gratifying that the marathon was getting bigger and better yearly, adding that the competition had come to stay.“I want to say a big thank you to all Lagosians for tolerating us in the last four years because this is the fourth time we are doing this Lagos Access Marathon and it has been improving year in, year out. This year, we had 58 countries participating and over 100,000 athletes also taking part in this journey. “The marathon is part of our administration’s initiative to use sports, tourism, entertainment, arts and culture to promote the excellence of Lagos and positively engage the youth,” Ambode had stated. “I have attended several marathons over the world and I must confess to you that Lagos event is one of the best experiences for me. The annual event is a pride to Africa and the City of Lagos has shown that it can stand among other prominent cities in the world. “The frenzy atmosphere around the finishing line is astonishing, it makes me very proud as a black man that it’s a good development for marathon they can sustain it for a longer time,” the overall winner, Lagese commented after the presentation.